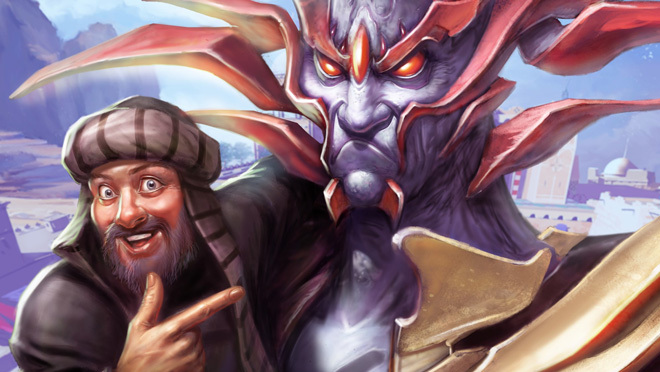 It's been a great year so far in RuneScape, and there's plenty more to look forward to in 2016, including Fate of the Gods 2, the dramatic conclusion of the Sliske storyline in Sliske's Endgame, and the Arc Chapter 2, which is aimed squarely at your feedback from the first launch. You can expect Eastern Lands training to be more enjoyable, getting you to the Uncharted Isles more often, and rewarding you with some cracking unlocks. But what can you expect in 2017? Wonder no more: this is a summary of what was revealed at Runefest. To construct 2017, we asked you which updates you most wanted. This was in a survey, which was answered by thousands of people, and the 12 most wanted updates make for very interesting reading indeed. Reworks feature four times in the top 12. Combat is also very popular, taking up three more slots thanks to the passionate PvM community. But, for me, the biggest surprise is a weather system at number 3. It was some of the less-popular updates that surprised us. Things like mounts, prestige systems, PvP, wandering world bosses and player-owned shops (a real blast from the past) really didn't register. This list has heavily influenced next year's content, but we've still got quite a few surprises left up our sleeves. The surveys have done more than point us in the right direction– it's made us rethink how we release content. More on that exciting thought later, but first, I'm going to indulge myself and talk about a few of my favourite, stand-out updates for 2017. To us, weather isn't just about sprinkling some snow on some roofs and making the most of our new engine – no, if it's going to be added, it has to really do something spectacular. Yes, we can do seasonal weather, but for the update to really sing, it should affect your gameplay – how about lightning bolts in the distance, climbing up a lightning rod, unleashing it as a component for new spells or abilities? Think of the power the Wizards' Tower could harness! How about heading down to Al Kharid to watch sandstorms picking up whole dunes of sand and revealing forgotten tombs to explore? How about flash floods that bring rare fish to a previously barren environment? How about performing shamanistic rain dances that allow you to create local downpours, freezing opponents with cold spells, or just having a bit of fun by making your local bank fill up with rain clouds? Yes, it will allow us to show off all the awesome power of NXT, but it will also allow you to show off some crazy creativity as you shape the world with godlike powers. Talking of godlike powers, let's talk about the Elder Gods. They're beginning to stir, and when they wake up, they won't be happy. We've learned over the past few years that these guys have been sleeping under our noses, in the perfect world they created. We - the current inhabitants - are just noisy, dirty tenants. They want us gone. Imagine what would happen if Bik - the elder god sleeping under Entrana - got up. There's no battling this, no clever way of getting Vorago to stab it in the face, no weapon to make it turn and run. Can we reason with them? Can we revert the damage we have done, perhaps, or even find them a new home? If their destiny works out, they are here to consume all living things, feed from the anima and make a new world more glorious than the last. Zaros is the key - the man with a plan - but will he survive the troubles posed by Sliske's Endgame? That is truly up to you. The next thing to talk about is skilling pets. 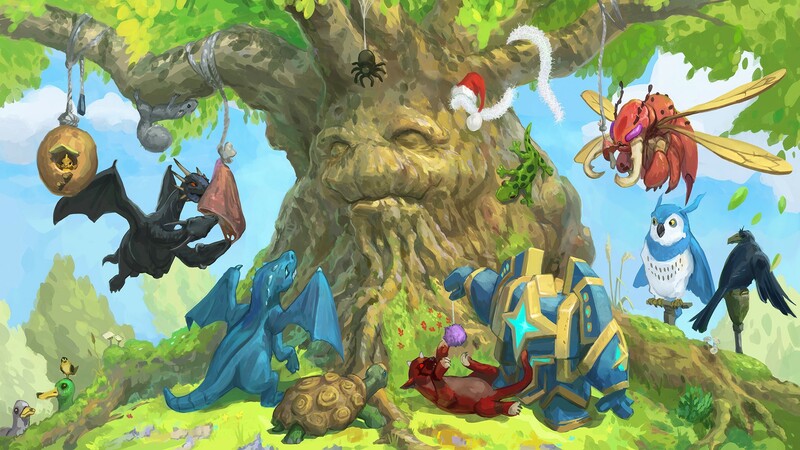 It featured in the top 10 and it's been very well received so far, but we've got a few more to do yet: pets for Attack, Defence, Magic, Summoning, Prayer, as well as a clue scroll pet and a minigames pet... all with a brand new pet park. The pet park is a great place to see all your achievements in a four-legged format, collecting different groups of pets for hidden rewards. You'll be able to customise the park like a strange zoo or safari park, and even train your pet army to work for you: a Miscellania-style workforce who can perform tasks while you are away. The most requested update was the Bank Rework. While it doesn't have the visual clout of an Elder God, you've told us it's what you want more than anything else. So, we're finally doing it. It's a huge change that effects everyone, but we want to make sure that the rework feels familiar and second nature to you. Of course it needs additional depth, offering placeholders so you can store single items and not worry about their position changing when you take them out. It could have unlimited bank tabs, more presets, and sorting tools to help you order your items by type, or skill. 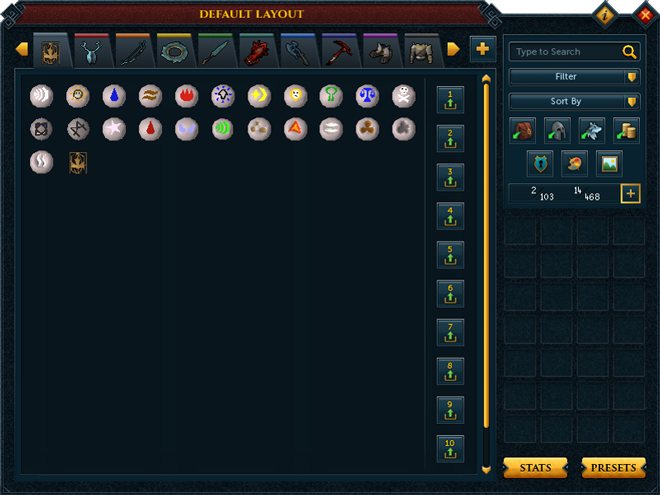 Deeper customisation options also allow you to colour tabs, attach keywords to your tabs, even manipulate your inventory management tools (coal bags, beasts of burden etc) in a far friendlier way. Another rework you really wanted is to clue scrolls. We'll rework the existing scrolls to make the rewards really worth the effort, and we want to allow you to have more than one on the go at a time. We're also aiming to give you all-new challenges and rewards to discover. There'll be new god birds, new Third Age gear and some unique clue scroll gear, but one reward in particular will be super cool – unique footprints that you leave as you move around the world, with rarity to match their awesomeness. I like the idea of leaving a trail of blood behind me as I wade across Castle Wars looking for my next kill. We'd like to add a new tier of clues called the Champion tier, with more skilling clues and a hiscore table to support it. We want to add competitive scrolls too, with one prize at the end, up for grabs to the first across all worlds to solve it. A proper race - something custom-made for streaming. This is still something were working on. You told us that Plan A wasn't right, so we went back to the drawing board. Now we've got a plan B, and we want to take you through it in detail. In October, we are starting a series of video blogs where we can cover every aspect of the rework. We will build a cohesive design together. The important aspects are clear to us. Like the bank rework, it needs to be simple, and familiar. Not overburdened with stuff. We want to raise them as skills that can be a viable means of income. 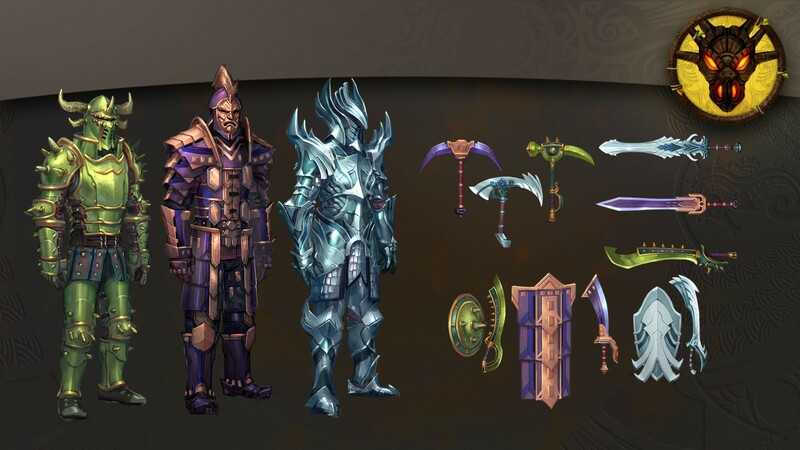 We still intend to bring rune and dragon gear to a Smithing level that makes sense, and we still want to release new materials, armours and weapons - just like the cool gear you see below. And finally, there's just enough time to talk about one of my favourite characters of all time. He's a lovable loser who lives in his mum's basement, he thinks he wants to be evil, but in the end of the day he's just too nice. He says controversial things, but really it's just to get attention. Despite all tough talk...he couldn't hurt a fly. With Zamorak back on Gielinor, it's a chance to meet his idol and get the Makeover Mage to help take a selfie. You told us you wanted quests with strong characters, and something with that weird British humour – well, the Evil Dave quest is going to have loads of that. It'll involve some crazy stew and plenty of shouting...plus a potentially terrifying body-swap theme. We're talking about a whole area or region released on a single day, packed with a wide array of quests, combat and skill training. In current terms, it would be like us bundling together several updates, giving them a central theme and releasing them all at once. It's important to note that there will be no additional cost for expansions. While the majority will be for members only, there will be no fee to unlock the new content, as you might see in other games. As always, your subscription gets you access to the lot. What size are we talking about? Well, we are dedicating more time to them than we have for any other update this year. An expansion will be comparable in scope to Elf City. We're talking something larger than The Arc Chapter 1 and 2 combined. We'll also have more people working on these updates. And we want these to be areas for you to explore and discover. I am imagining you all gathered at the gates of an area before it is launched. Running in and aiming to be the first to complete everything, kill everything, be the first to find everything. That's where a big change is coming in. We are planning to reveal 3 major elements about each expansion, but no more than that. That means we can concentrate on getting those updates right and finished, but mainly we want to bring surprise and discovery back into RuneScape, like those days when Construction was released with little more than a mention of being able to sit down on seats. I want you all exploring with little idea of what you will find, then sharing with each other about the small quest you found, or the skill training method you unlocked, or the beast you unleashed. So, how often can you expect RuneScape expansions? You can expect something Elf City-sized every three months. That's crazily exciting from our perspective! The biggest reason for making this change is you. You are tired of dead content. On the whole, you haven't been fond of batched updates. And you want content to feel finished, with adequate time for polish. Everything you have been saying about recent updates has been pointing towards big, impactful changes to the game. Content that would still feel essential two years from release; content that would feel finished and final on launch. And that's what we want too! You will be getting the first expansion in June. The next in September, and the following one in December. I want to talk about the other expansions later, because I want you to focus on the first. Mainly because it's big enough and exciting enough as it stands. Nearly ten years after we added the city walls of Menaphos, you are going to explore it. Let me take you on a guided tour of the city. 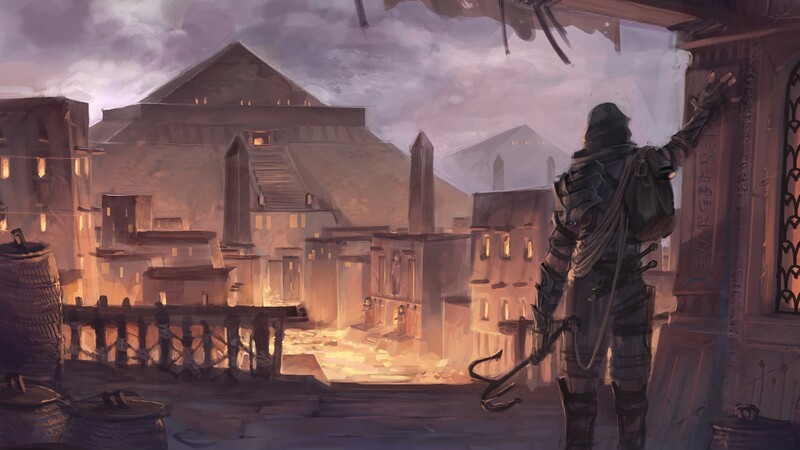 Once you have passed through the gates of Menaphos, you will find a vast, open city full of hanging gardens, streams and buildings trimmed with gold. A huge pyramid - a mastaba - looms over you. It's like all the wealth of the Kharidian Desert has settled at its very bottom, in Menaphos. The people pass you by, and they are uniformly rich. But they are suspicious, they look down on you. Yet, underneath that arrogance is fear. 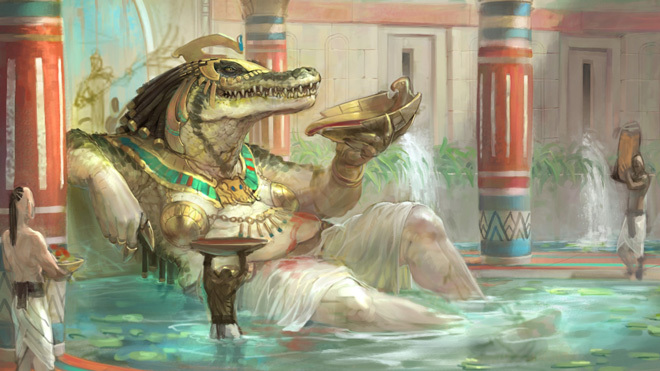 Their ruler, the pharaoh, is a puppet for Amascut, the devourer god, and makes cruel demands of them. But as you enter the centre of the market, it still feels like a rich area. There is a lodestone here, bank, GE, skill training methods. Everything you could want from a hub city. And then BANG, the floor rattles. It seems like a far-off explosion. This is Amascut, and she is literally tearing Menaphos apart in an effort to find her father, the desert god Tumeken. By tearing holes in the walls and floors of Menaphos, Amascut is revealing long forgotten areas. Amascut will open up the Tombs of Menaphos. Think of this like a city-scale Pyramid Plunder. A tomb might be – say - Agility and Herblore related. You decide to travel there and you might find several other players there too. You all then jump into the tomb. That tomb will be full of resources to gather. And you will be given an objective, which might be 'gather 20 resources before the time runs out'. You won't get any XP as you gather these resources, but if you complete the objective, you will gain a huge chunk of XP. If you don't complete the objective, you will get far less. The Tombs of Menaphos will be some of the best XP rates in the game. 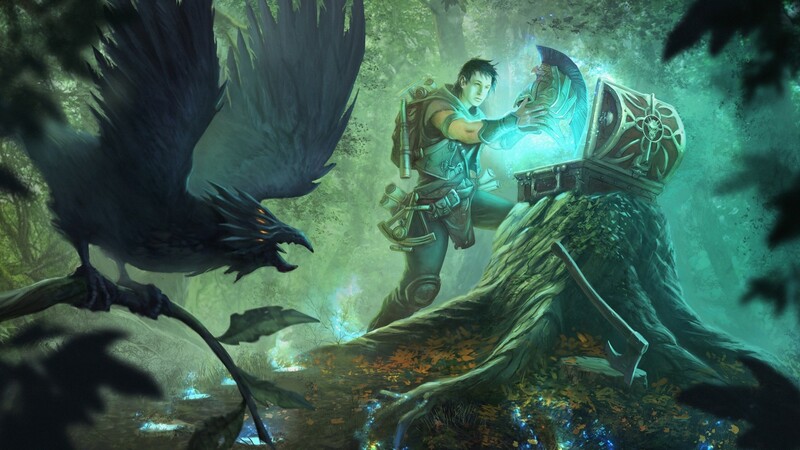 This is about testing your non-combat abilities - testing your knowledge, your gathering, your strategizing - with the risk that you might not complete the objective in time. 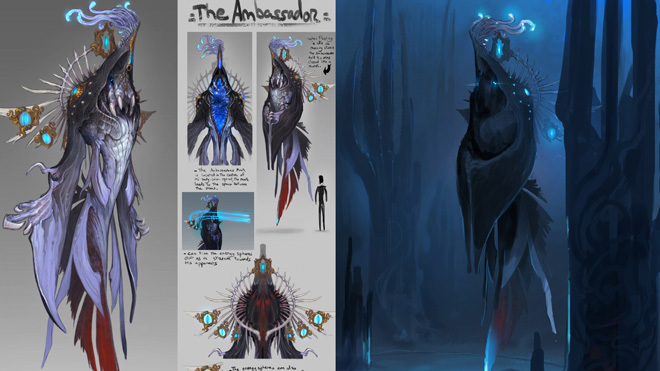 So - you have explored the city and seen the devastation of Amascut. The next step is to remove her influence from the city, which is core to the next quest in the Desert series. This is an area away from the bustle. Rivers are being funneled into a smaller pyramid. You enter, and you are confronted by Crondis. For those of you who may not be aware, Crondis is one of the desert gods, like Apmeken in Do No Evil or Scabaras in Contact. Like those gods, she has been corrupted by Amascut. Previously, Crondis was a god of earthly pleasures. She would deliver food and drink to her people and share in their happiness. Now, she is eating their food, and bathing in their water - delighting in their misery. This quest is just one of the stories we are planning to tell as you wander the city. You will be talking to people, finding out more about the situation here, perhaps completing smaller quests. But at some point you will have to face Amascut herself – entering the pyramid where she and the pharaoh reside. As you enter, this is not a palace anymore. It has been twisted to become Amascut's personal slayer dungeon. 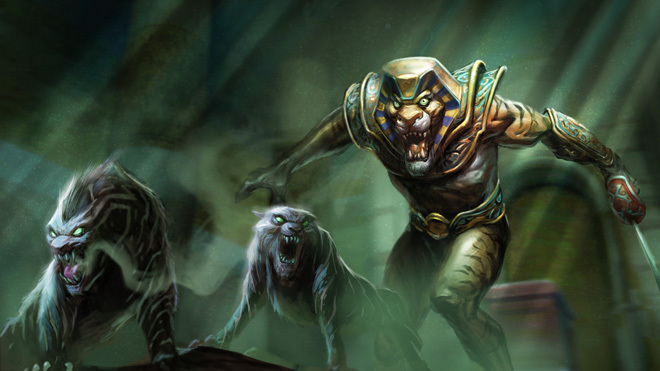 Here you will find prowling cats, devourer beasts, avatars of Amascut - all looking to eat you. Imagine slayer bosses that remain in their throne rooms until you retrieve a key to fight them. Imagine all of your loot arriving, not in drops, but in a central chest which you can level up to focus on those drops that you most want, or to apply effects to the whole of the dungeon. 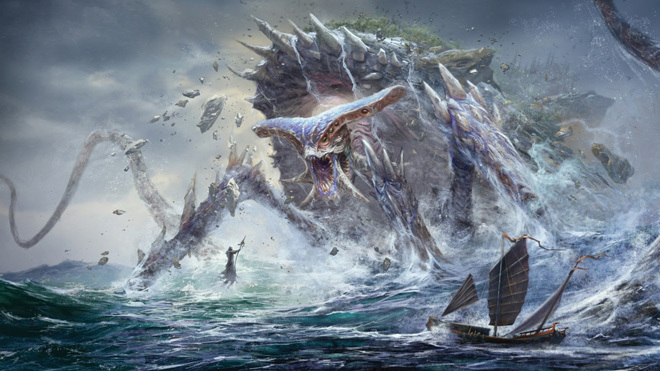 Imagine devourer waves, when the whole dungeon becomes super-aggressive. And survivors are greatly rewarded. If you survive the slayer dungeon, you may wander back out into the city. The people begin to recognise your achievements. You have gained Reputation with them, and this unlocks even more around the city. Slowly but surely, you are working your way up to becoming the master of Menaphos. Perhaps even the pharaoh. Undoubtedly, your head is full of questions. The biggest for us was what happens in the weeks...months before the release of an expansion? First of all, you won't be able to complete it on day one. There'll simply be too much to do. More importantly, between expansions, you will still be receiving regular game updates. We're talking things that improve the game, events that get you training, smaller quests, filling out skill unlocks, etc. We are also going to be bringing out a couple of updates, earlier in 2017, which will regularly bring you new things to do and events to participate in. The first is Shattered Worlds – the dimension-hopping test of RuneScape prowess announced earlier this year. You do this by hopping into one pocket dimension after another. One might be Tarddiad, and you might encounter rune dragons. Perhaps there are some mutators are in play – say, they explode on death. So, you defeat them all and a portal opens. You hop into another pocket dimension, and another, and another. And throughout the process you are checking your time. You are looking to beat your personal best, your friends' time - perhaps even to reach the top of the global hiscores. 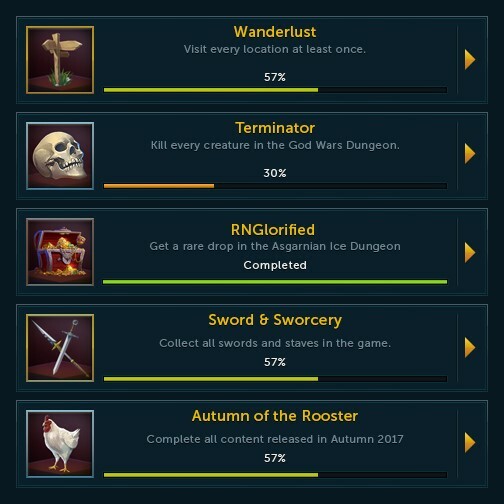 After release, Shattered Worlds will have at least one new combat challenge per week for you to attempt, with great rewards for both Shattered Worlds itself and elsewhere in the game. And with each expansion, we will add more worlds and content. 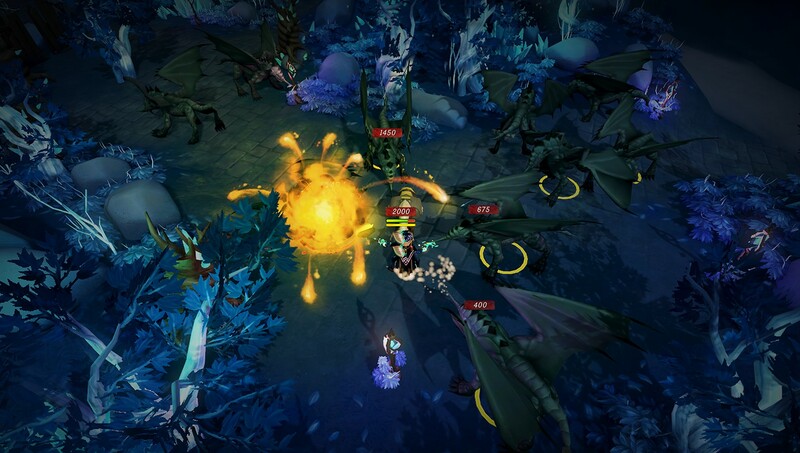 Shattered Worlds is about testing your combat skill every week. You will be coming back again and again to see whether you have improved as you have levelled up. We're so excited about this, because it has bags of potential. With each expansion we can learn from how you are playing it. We can bring skilling into Shattered Worlds, level-playing field events, perhaps even have live streamed competitions - but only if the community tells us that this is something they want. We will let it grow organically. Another update that is coming in the first half of the year will give you plenty to do in between expansions. We feel that many of you are eager for a new way of showing your ability in the game. I would like to introduce Achievements. 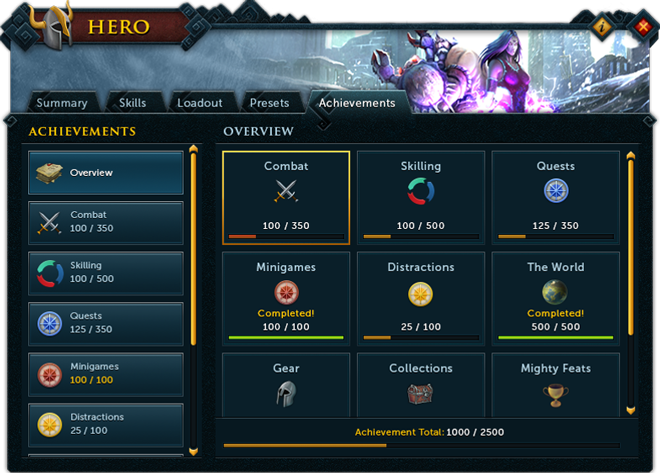 Achievements are all about completing epic feats of strength and endurance in RuneScape, maxing out your total achievement score. It's a way of showing off just how much of the game you have mastered and completed. You'll also gain new rewards as you complete subsections of the game, like gaining all gear, or exploring all of the world. It will be as important as your total level, and will sit right next to it and on everyone's player inspect. With each expansion, we can add new achievements, giving you objectives in the area. One of the aims is to change the way you play the game - to push you to try things you wouldn't have tried before, and play in ways you don't normally play. Let's see if you can truly master it all! It also allows us to improve the experience of playing the game. We can tidy up lots of different systems that were confusing for new players and bring them all into this one place. Quest lists, Task Sets, the Path Systems etc. will all to be brought together in one place. We can have a Recommendation system that pushes you to suitable achievements: those you are close to completing, those that are nearby, or that are recommended for you level. If you're ever unsure what to do, it'll be full of ideas. I couldn't possibly leave you without a big reveal. 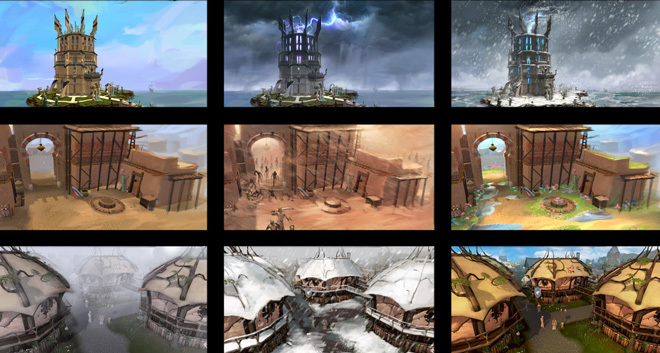 On the launch of Menaphos – which includes the new Slayer Dungeon, with plenty of mobs to kill - we will be increasing the Slayer cap from 99 to 120! I don't want to reveal too much just now, but you can be sure that there will be monsters to make the trip to 120 satisfying, almost all in the slayer dungeon. Those who are at 120 virtual levels already will be converted directly over. We will be making sure there is still something to chase - perhaps have separate hiscores for - as we are talking about you becoming a slayer master and getting new rewards for doing so. Combat skills will remain at 99, and finally, comp capers will have until the next expansion to get the requirements.